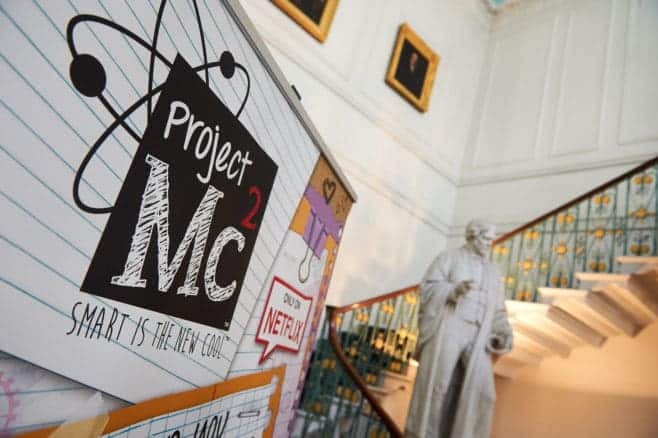 Earlier this year Roo discovered the Project MC2 series on Netflix. With just three episodes available she wanted to find out more. She loved that the four girls; McKeyla McAlister, Adrienne Attoms, Bryden Bandweth and Camryn Coyle that make up Project MC2 were smart as well as cool. 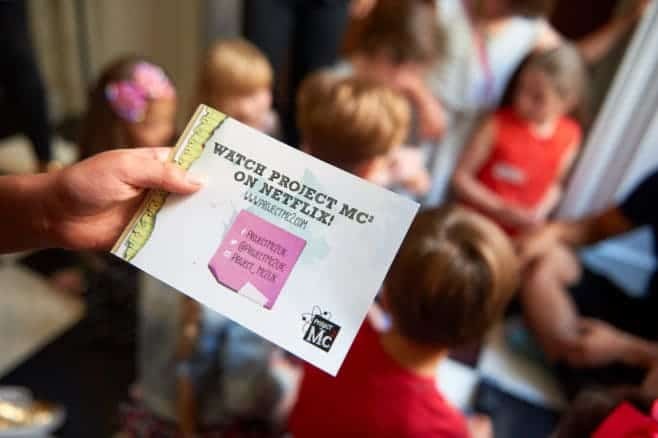 With the release of Project MC2 series 2 on Netflix, she was happy to find that she had six new episodes to enjoy alongside two new recruits, Devon D’Marco and Ember Evergreen. To co-inside with the launch of the new series a range of Project MC2 dolls, accessories and so much more has been released. Myself and Roo were invited along to a secret venue in London to find out all about the new dolls, along with Mandi and her girls from Hexmum Blog. As we arrived the girls were invited to join a secret spy mission and were whisked off searching for clues. Watching from afar it was lovely to see that all the children were engrossed in the secret spy mission and were eager to help crack the case. After a successful secret spy mission, the children were invited into the lab to try out some fun science experiments. As each new children walked over to a different experiment you could hear the gasps of amazement as they watched the Mad Science crew. With all the excitement of secret spy missions and cool science experiments, the girls almost forgot why we were there and that was to see the new Project MC2 collection. 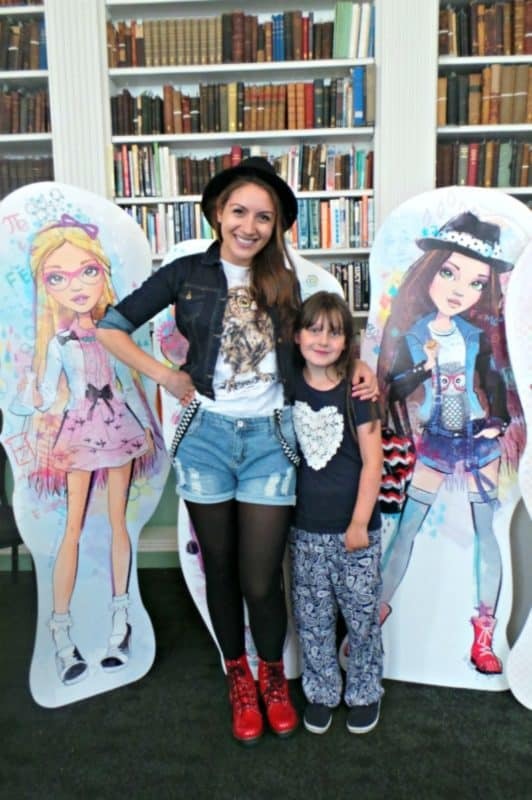 To accompany the new season, MGA Entertainment has launched a new range of uber cool fashion dolls – each coming with their own experiment that kids can perform at home. McKeyla’s Glitter Light Bulb – The show’s main character comes with her own glitter light bulb experiment – that shows how simple tap water can actually conduct electricity. Mix water and food colouring, add glitter and glycerine and watch as it really lights up! Adrienne’s Bath Fizz – Culinary chemist Adrienne teaches children how to make their own bath bomb with this innovative kit. Using citric acid (because it is a solid) and baking soda – plus optional ingredients such as glitter, sprinkles, and food colouring – in the mould provided. Guaranteed to make your bath more fun! Bryden’s Panda Speaker – Tech genius Bryden comes with a Panda speaker – you just have to complete the electrical circuit to make the music play. Feed an apple slice to the panda to play your favourite song! Devon’s Puffy Paint – One of the new members, Devon teaches you how to mix household ingredients such as flour, water, and salt to make ‘puffy paint.’ The salt forms crystals when the paint dries (to make it sparkly) and the process of the water evaporating makes it appear ‘puffy’. Ember’s Garden – Learn about the science of gardening with Ember’s Terrarium (an aquarium for plants). Add rocks, soil and seeds to see the water cycle in action and learn why it is essential to plant life. 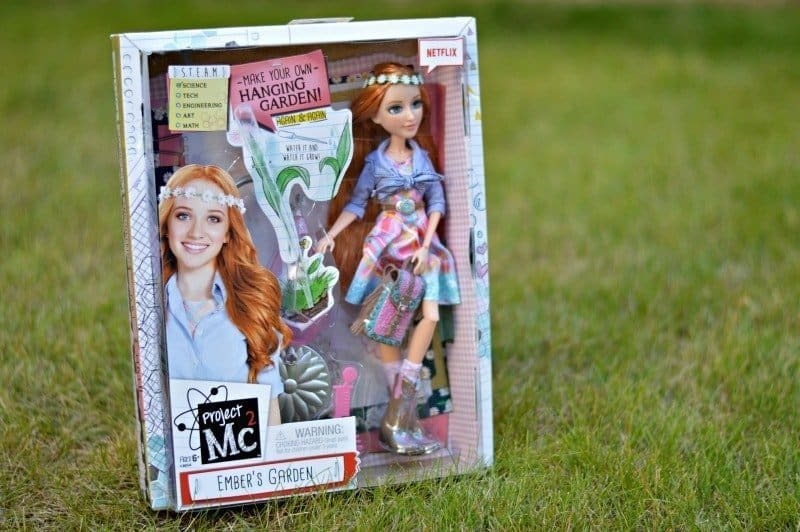 Alongside the experiment dolls, there is a range of Project MC2 Core Dolls (SRP £14.99) which enables your tween to have fun creating the world for them and assisting them the experiments that they create themselves. The Project Mc2 collection is available from Amazon and all other good toy retailers. Thanks for linking up, the girls had a great time with Roo, and they are now all hooked on Netflix!